When I visited Washington DC last year for a dear friend’s wedding, I never imagined I would happen upon one of the most life-changing art exhibits I’d ever seen. My husband and I were enjoying a rare trip away from our kids, revisiting the city where we met. We were staying on L’Enfant Plaza and decided to take a walk to the Reflecting Pool. On the way, we stopped in at the Hirshhorn and my life was changed forever. 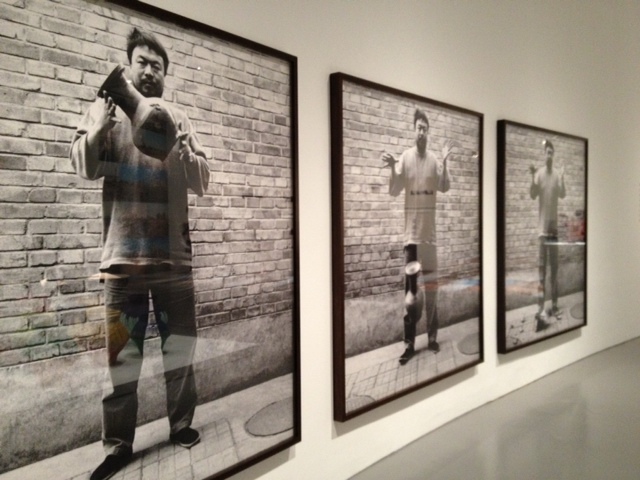 For there, unbeknownst to me, was the Ai Weiwei exhibit “According to What?”. This powerful, indescribably impactful exhibit included some of his most heartbreaking pieces based on the earthquake in Sichuan, as well as a number of other pieces I hadn’t even heard of before. A photograph of his brain scan soon after his assault by the police, the infamous “flipping off” of the White House, even his symbolic destruction of a Han Dynasty urn. All before me in one magnificent exhibit. And it was there that I knew I had to share Weiwei with my students – and bring a notion of art as protest to their young minds. 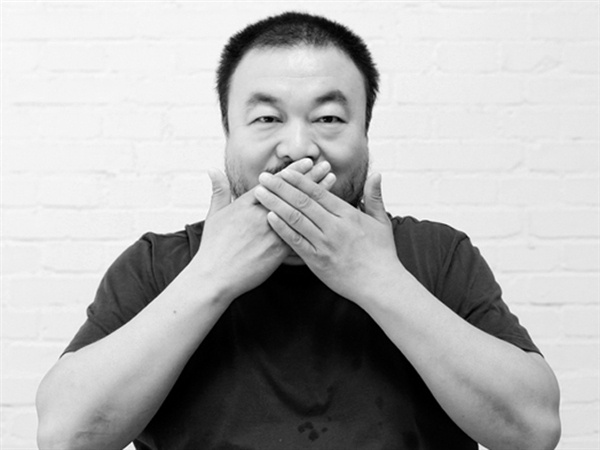 And so, without further ado….Ai Weiwei. Ai Weiwei, a Chinese born artist, has made a name for himself with his groundbreaking and often-times scandalous artwork. His talents span to sculpture, installation art, even performance pieces – and speak of the hardships he has faced as a proponent of free expression. Born in 1957, Weiwei’s father was a poet who was denounced during the Anti-Rightist Movement and sent to a labour camp when Weiwei was just one year old. Weiwei began his life in the arts as a film student and in 1981 moved to the United States where he studied at the Parsons School of Design. Upon returning to China, Weiwei made a name for himself as a new kind of Chinese artist – one who hoped to incorporate the best of modern and avant garde art into the Chinese lexicon. He also used his art to say something. For example, in response to the terrible Sichuan earthquake in 2008, Weiwei created an installation piece entitled “Remembering” made of 9,000 children’s backpacks. He is also almost single-handedly responsible for accumulating the names of those children who perished in the earthquake and turned that tabulation into an audio piece in which the names of the children are read by various voices as a soundtrack to his exhibit. 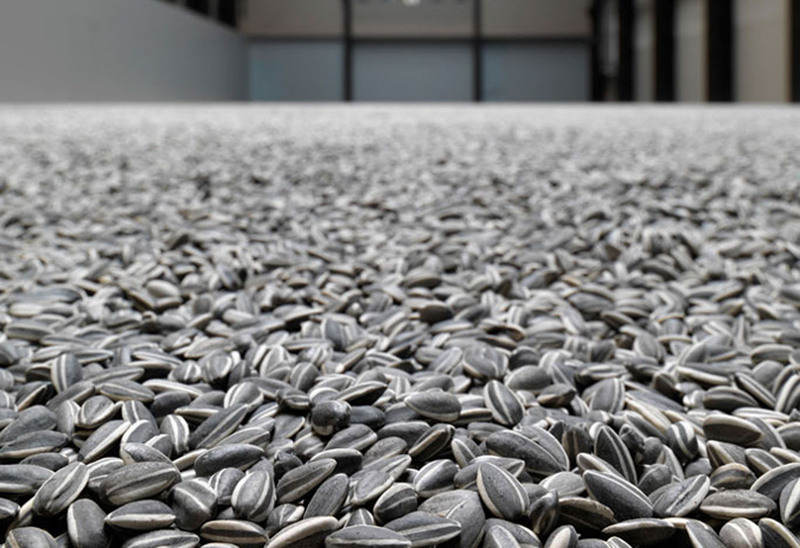 In October 2010, Weiwei’s Sunflower Seeds was installed at the Tate Modern – it consisted of 100 million handmade and handpainted porcelain sunflower seeds that the viewers could walk on, pick up and interact with. Because of the political and social statements made in his work, Weiwei has continually been a target by Chinese police who have sent him to prison, placed him under house arrest and, at times, beaten him. At this time he is probation in Beijing and cannot leave the country. In class today, we talked about the notion of art as activism and how Weiwei uses his artistic abilities to point out injustices in the world. 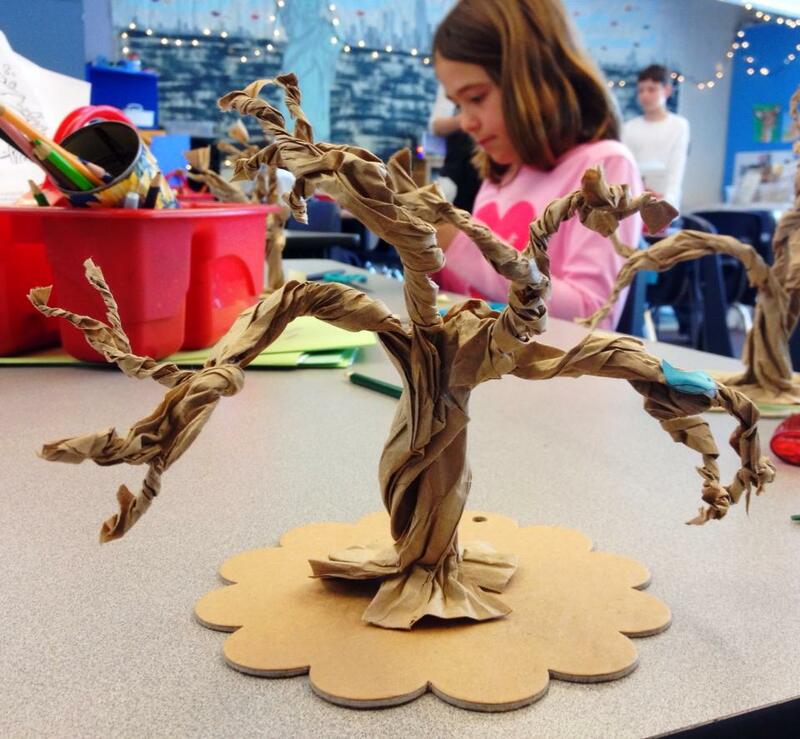 The children were really fascinated by the notion of creating art not just because it’s beautiful to look at but because it says something to us about the world we live in. We took a close look at a number of his most amazing works, Sunflower Seeds, Remembering, Snake Ceiling, He Xie, and Dropping a Han Dynasty Urn. 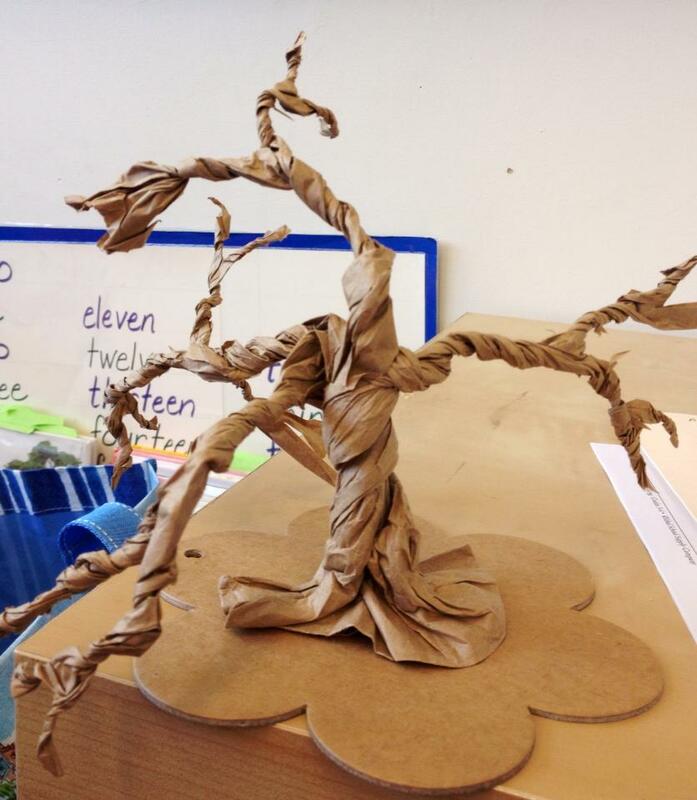 Then, taking inspiration from Weiwei’s gift for lending artistic importance to ordinary objects, the children created their own tree sculptures from paper bags. I found this particular activity on the Spoonful website…you can visit that here. 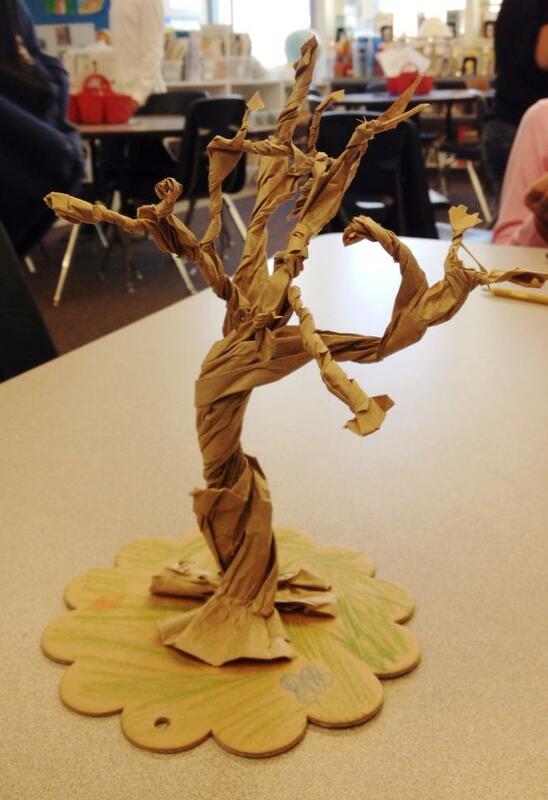 The children really took to heart the notion of creating art from seemingly simple and “unartistic” materials. The results are really amazing!